The design of a septic tank system is not usually complicated, but when something goes wrong it may be too late for just septic tank cleaning. 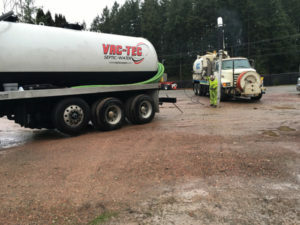 If your septic tank system has not received periodic septic pumping to rid solid waste deposits in the tank, the life of your entire system could be compromised or shortened. To avoid septic system failure for property owners in Waller, we recommend septic tank pumping every three to five years depending on your tank size, type and usage. 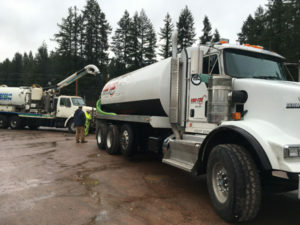 The process of septic tank cleaning involves professional removal of all water and compacted sludge accumulation from the bottom of septic tanks; whereas, septic tank pumping simply removes water and some of the floating solids. 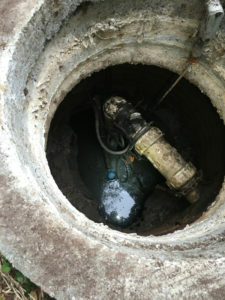 Because the potential risk of a clogged septic tank far outweighs the cost of our septic pumping, we highly recommend septic tank maintenance and septic inspection to ensure timely removal of solids and an opportunity for our professionally trained technicians to check the components of your septic tank for any problems. Call to learn more about the importance of professional septic pumping, cleaning, inspection and maintenance of your septic tank system. Why Should Waller Residents Choose Us for Septic Pumping? We are a leader in the septic and water services industry providing skilled and professional services in all aspects of septic tank pumping, septic tank cleaning and other related septic or sewer issues. We place great value in routine septic tank maintenance to help our clients avoid costly future problems. If your septic tank system has not been inspected and you are not on a regular schedule for septic tank pumping, call us for a septic inspection to avoid the risks of septic tank overflow.